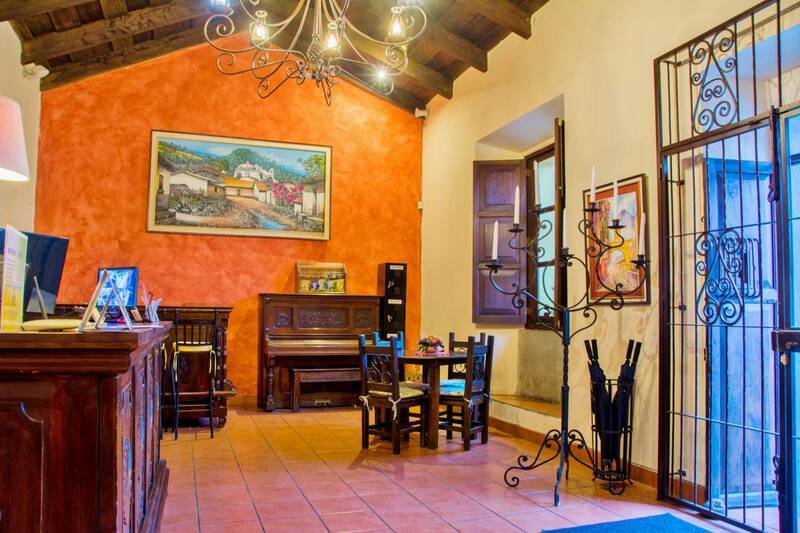 Hotel Meson del Valle is a beautiful hotel and B&B with 5-star service, but at a budget price. We are in the colonial city of Antigua Guatemala, only 2 blocks from central park, on the famous Arch Street, allowing you to be close to all the important sites & shopping. Hotel Meson del Valle is in a very safe & tranquil location in the heart of Antigua, which ensures your stay will be comfortable & enjoyable. We offer 5-star service, for groups or individuals. We offer this at a better value than any other comparable hotel in Antigua. Our address is 5th Ave Sur #11-C, 2 blocks south of the central park. Use of the swimming pool facilities of our other property for $5 a day. We offer 10 very comfortable & clean rooms, all with beautiful hand-made Guatemalan typical furniture and fabrics. All rooms have cable TV, DVD, Wi-Fi & new anti-stress beds. For your convenience, we offer private airport pickups for $37. Please send us an email at hotelmesondelvalle@hotmail with your arrival time, flight #, airline name and from what city you are arriving from. 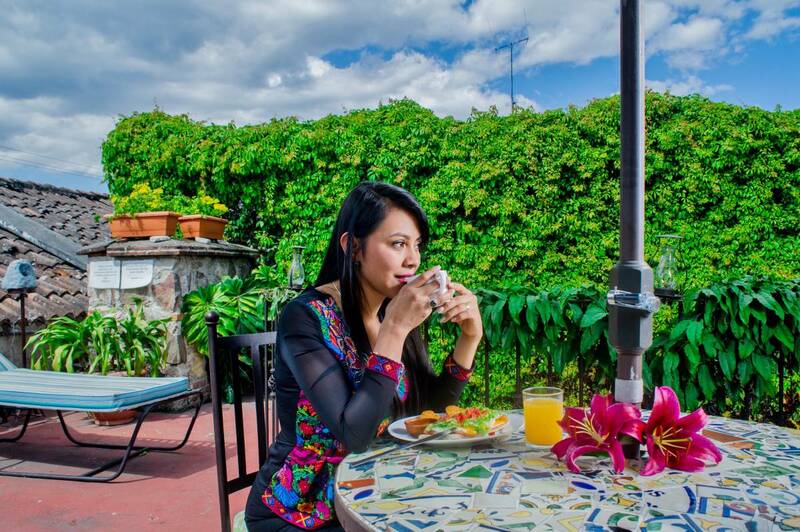 Hotel Mesón del Valle is located in the beautiful city of Antigua Guatemala in Central America. Our hotel is on one of the main avenues of the city called "The Arch Street", only a couple of blocks away from Antigua's Central Park and the Cathedral of Antigua , and near the "San José el Viejo" Ruins. "San José el Viejo" Ruins was a Convent in Colonial times and is now the place for beautiful weddings and receptions. Because of this, and the beauty of our hotel, we offer services for weddings, honeymoons, anniversaries and other special occasions. Our great city of Antigua Guatemala has over 470 years of history for travelers to explore. Antigua, being a UNESCO World Heritage Site , has all this valuable history very well preserved for tourist and our hotel guest. Come and see the history of Antigua Guatemala while staying in our family hotel. Our hotel's excellent location allows our guests to have the privilege of being only a few blocks away from the best Colonial Ruins, museums, monuments, restaurants, bars, and the other important sights of Antigua Guatemala. Antigua is a wonderful walking city. Everything is within a 10 or 15 minute walk. The weather in Antigua Guatemala is fantastic. Everyday, all year, is like spring or early summer. Our weather alone is a perfect reason to come and visit us for your family vacation abroad. 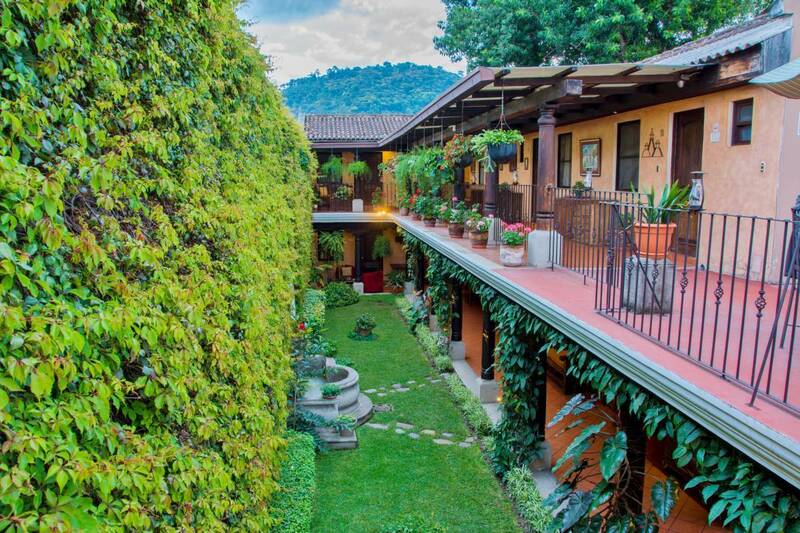 Hotel Mesón del Valle offers the quality of a 4-star hotel at a lower price (some even say a budget price), certainly lower than most hotels in Antigua Guatemala. 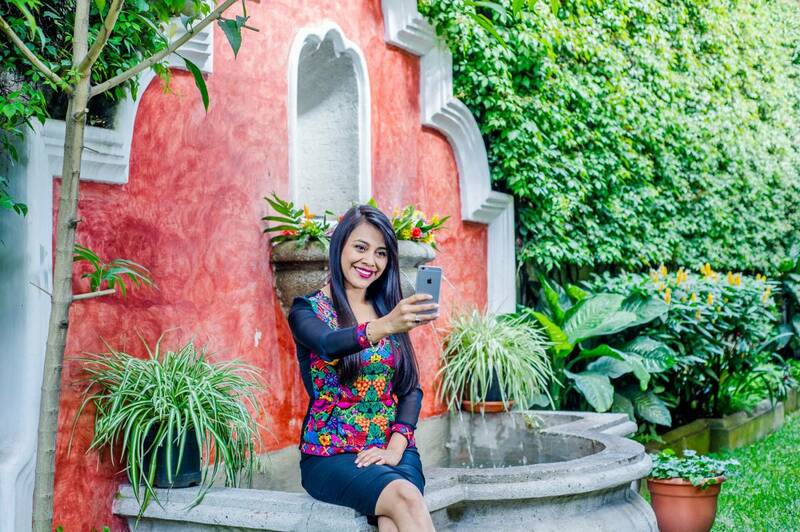 As our hotel guest, if you need anything, or have any special request during your hotel vacation stay in Antigua Guatemala, please ask our hotel receptionist. They will attend to your every need. We offer specialized packages for newlyweds, couples, and other special occasions. Our hotel is the perfect place for a relaxing vacation or as a home away from home to explore our beautiful city of Antigua Guatemala. In our properties group we offer 11 hotels and 2 sets of vacation rental apartments: Three 4-star hotels (1 with suites, 1 with a swimming pool and spa, and 1 set in the colonial ruins of a historical convent), two 3. 5-star hotels, three 3-star hotels, three 2. 5-star hotels. All of our hotels are within 4 blocks of each other and within 3 blocks of Antigua's beautiful central park. We have over 225 rooms and can accommodate up to 750 people. So, we can accommodate large groups in one single hotel or very large groups between a few of our hotels. Even if your group is split between a few of our hotels, you would never be more than a 3 minute walk from the rest of your group, since our hotels are very close to each other and very centrally located to the central park of Antigua. Also, if your group is interested in meal plans, we can provide breakfast, lunch and dinner. In Hotel Meson del Valle, we can offer single, double or triple standard and suite rooms with private bathrooms. We offer all private & comfortable rooms, 10 rooms in all. We offer single, double or triple rooms. Doubles can be with 1 large queen bed or 2 separate beds. Triples are with 1 large queen bed & 1 single bed. All 10 rooms come with private bath, cable TV, DVD, Wi-Fi & anti-stress beds. The suites have larger bathrooms with a separate shower & Jacuzzi tub while the standard rooms have only a large shower. All rooms come with comfy beds (all anti-stress mattresses), lots of bright Guatemalan colors and lots of light, closets for hanging or folding clothes, handmade writing desk & chairs, night stands, head boards, iron forged lamps & windows with lots of natural light. *Note: Suites have Jacuzzi but two of the jacuzzi´s are smaller. 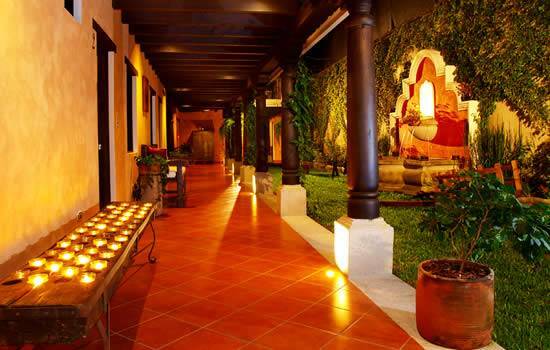 Hotel Meson del Valle is a beautiful 4-star hotel in the colonial city of Antigua Guatemala. We are only 2 blks from central park, on the famous Arch Street, allowing you to be close to all the important sites & shopping. Hotel Meson del Valle is in a very safe & tranquil location in the heart of Antigua, which ensures your stay will be comfortable & enjoyable. We offer a 4-star hotel with 5-star service, for groups or individuals. Our address is 5th Ave Sur #11-C, 2 blks south of the central park. We are just across the street from "San José el Viejo" Ruins. "San José el Viejo" Ruins was a Convent in Colonial times and is now the place for beautiful weddings and receptions. We are centrally located, but in a very quiet area. There are many good restaurants & shopping areas within a 2 minute walk, & the beautiful central park is also only a 2 minute walk. This is one of the many reasons Antigua is so nice, you can walk anywhere in just a few minutes. If you are planning your own way, from Guatemala City airport, take a shuttle or drive to Antigua (45 minutes) via Calzada Roosevelt. Enter into Antigua, via 3rd Calle. About 6 blocks, turn left on 4th Ave Sur, go 5 blocks, turn right on 8th Calle, go 1 block (to the dead end), turn right on 5th Ave, Hotel Meson del Valle is half a block up on the right, at 5th Ave Sur #11-C, just 2 blocks south of the central park on the famous Arch Street.